“Hello Hope” mobile app which Turkcell developed to support the integration of Syrian refugees in Turkey was selected to be one of the best-case examples by UNESCO as a part of the “UNESCO-Pearson Initiative for Literacy: Improved Livelihoods in a Digital World”. The project will be one of a number of case studies informing UNESCO’s forthcoming guidelines on inclusive digital solutions for improved livelihoods. 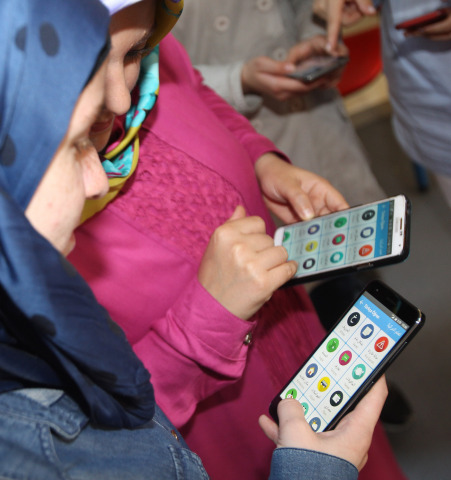 ISTANBUL--(BUSINESS WIRE)--In September 2016, Turkcell (NYSE:TKC) (BIST:TCELL) had launched “Hello Hope” mobile app in order to facilitate the lives of Syrian refugees – the app is now selected to be one of the best practices globally by UNESCO. For the UNESCO-Pearson Initiative for Literacy, 130 applications from 60 countries were evaluated. “Hello Hope” became one of the 14 finalists, the only example from Turkey to make it to the list. In the coming months, UNESCO will publish the 14 cases in order to highlight how digital technologies can facilitate the lives of individuals from every level of education, including low-literacy and low-skill levels. The qualities which made “Hello Hope” an exemplary case for the UNESCO-Pearson Initiative is the fact that it is easily accessible to refugees of all literacy and digital skill backgrounds. Instant voice translation feature between Turkish and Arabic operates with voice commands and icons as well as written script, while Turkish language-learning flashcards come with photos and audio recordings of words and expressions that make them easily understandable. A section on Frequently Asked Questions includes info on refugee registration processes, access to public services such as education and health, and a location-based service option guiding users to nearby facilities. One-click access to Turkey's only Arabic language call centre contributes to the experience. The newly added video feature also contributes to audio-based learning as well as to supporting K12 education. 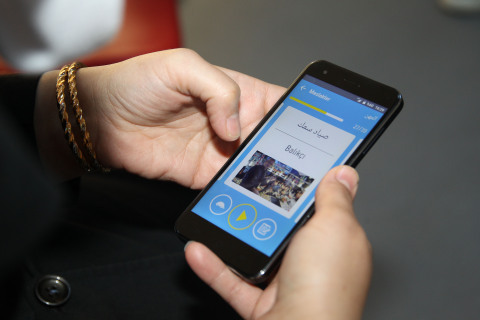 Turkcell’s “Hello Hope” app becomes an inspiration story at UNESCO’s Literacy Initiative.